Fairfield Inn by Marriott in Strasburg Virginia is the perfect place to call home on a Shenandoah Valley Golf Trip! 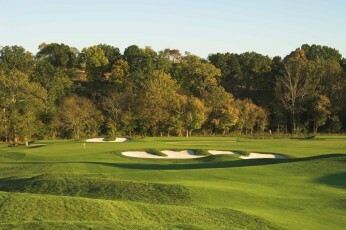 Golf vacation travelers headed to the Front Royal area of Virginia will enjoy a day at Shenandoah Valley Golf Club. Enjoy 27 scenic and very playable holes designed by Buddy Loving. Rock Harbor's Boulder and Rock Courses are two imaginative fun designs that all golfers will enjoy. Play Rock Harbor on your next Shenandoah Valley Golf Trip. A Shenandoah Valley Gem, the Tom Clark designed Blue Ridge Shadows is a must play for Front Royal Golf Package travelers. Bent Grass fairways and greens make for great year round playing conditions. Front Royal Golf Package including stay and play at Holiday Inn & Suites Hotel Front Royal Blue Ridge Shadows. Great onsite amenities as well as the award winning Blue Ridge Shadows Golf Club. Shenandoah Valley Golf Package travelers looking to stay in the Winchester area will appreciate the Comfort Inn Winchester. A great value located within 20 minutes of most golf courses plus an onsite dining option as well as popular chain and local restaurants nearby. A Blue Ridge Golf Vacation package features golf courses located in the western part of Virginia where nature has provided some of the top golf course designers a perfect canvas to create several of the mid Atlantic’s best golf courses. There are several popular golf destinations in the western part of Virginia. Charlottesville area truly boasts some of Virginia's top courses. Front Royal and the Winchester area in Northwestern Virginia have quality courses scattered throughout the Shenandoah Valley.